With current dry conditions, Osage County Emergency Management is reminding everyone to use extreme caution when conducting any type of outside burning. Anyone conducting a burn is reminded to have sufficient manpower, water, and equipment to control the fire, all of which are the responsibility of the person conducting the burn. Burning pastureland or cropland and other types of open burning in unincorporated areas of Osage County require a burn permit. 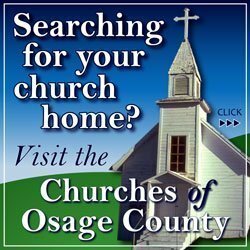 “We have had numerous out of control grass fires, burning without a permit, and burning on ‘no burn days,’” said Bryce Romine, Osage County emergency management director. City offices at Carbondale, Scranton, Osage City, Overbrook, Melvern, and Burlingame, and Quenemo. 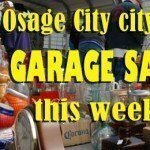 Osage County fire districts 1, 2, 3, 4, 5, 6, and 7. 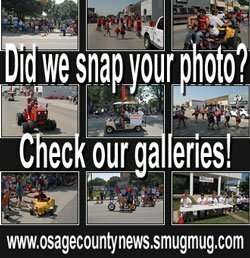 Osage County offices of the county clerk, land development, sheriff, and emergency management. Frontier Extension District and USDA Service Center, both in Lyndon. Burn permits are valid for four years from the time of issue. Permit holders must contact the Osage County Sheriff’s Office at 785-828-3121 before starting a burn and after the burn is complete. More information and burn permit applications can be found at www.osageco.org under the Emergency Management tab, or contact Romine at 785-828-3323 or [email protected].